Chanel has always been known for their excellent selection of fragrances, from the classic N°5 to the fun and spirited Chance, amongst many others. What you might not know is their discreet (and truly exclusive) range known as Les Exclusifs de Chanel, a select array of aromatic compositions featuring rare and intricate ingredients that all evokes a different chapter of Mademoiselle Coco Chanel’s life. Come February 2019, an all-new Eau de Parfum will join this family of special scents, one that’s simply known as 1957. More than just a number associated with the year that she received the prestigious Neiman Marcus Award for Distinguished Service in the Field of Fashion, 19 is also the date of her birth, while 57 refers to the street number of Chanel’s New York City flagship in the United States. A unique composition of eight white musks that’s interplayed with cedar, coriander seed, honey, orange blossom, pink pepper and vanilla, all of which are layered together to create a distinctive and singular scent. Another point worth nothing is that 1957 is the third Les Exclusifs de Chanel fragrance composed by Olivier Polge with the team at Chanel’s dedicated fragrance laboratory. As such, you can expect to find an expertly crafted scent that reveals itself upon the application on a person’s skin. In other words, you have to try it on yourself to experience the scent in its entirety. 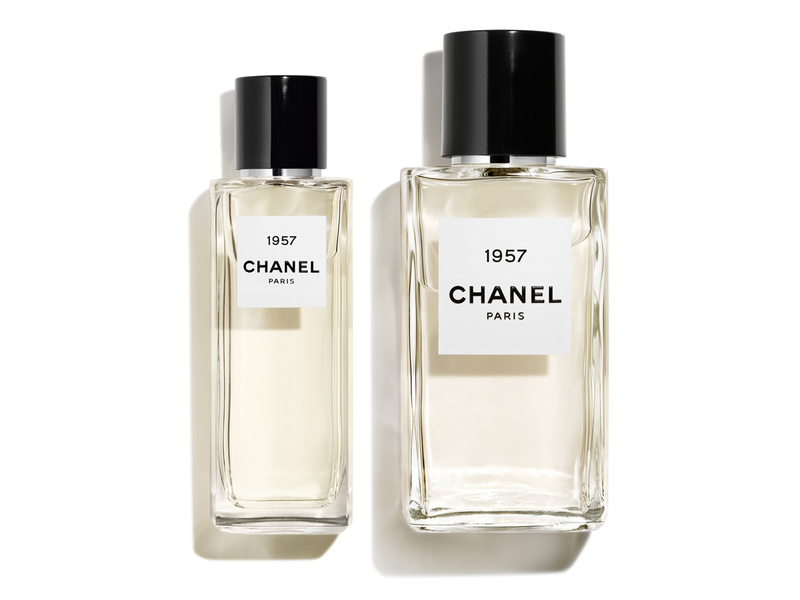 Set to launch exclusively at Chanel’s Fragrance & Beauty Boutiques (ION Orchard, Marina Bay Sands, Raffles City and Vivo City) from 1 February 2019, you will be able to find 1957 available in either a 75 ml (SGD315) or 200 ml (SGD570) Eau de Parfum bottle. 1957, your uniquely sensual scent that’s comfortable, soft and created specially for your skin.